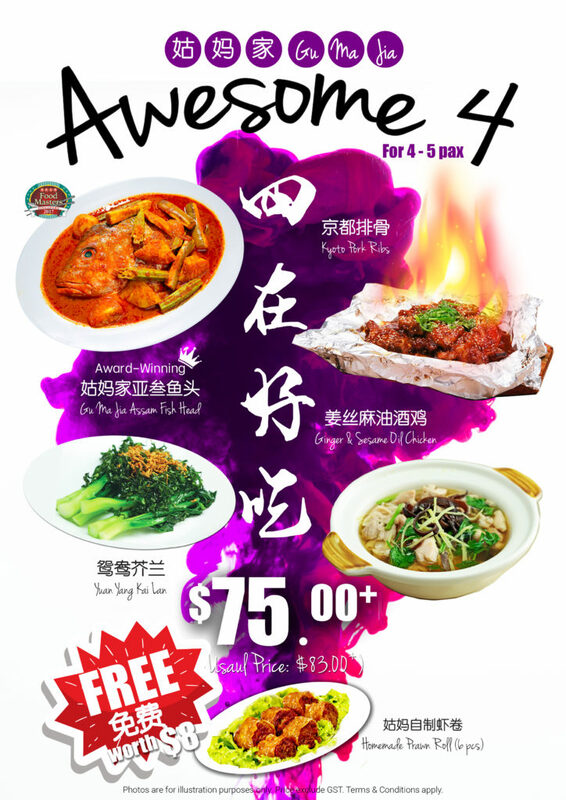 Order Gu Ma Jia Awesome 4 “四在好吃” @ $75+ (Usual $83+), and receive a free 姑妈自制虾卷 Homemade Prawn Roll (6 pcs). For 4 to 5 pax. *Promotion till 30 Sep 18. Only valid from Monday to Friday (Except PH).